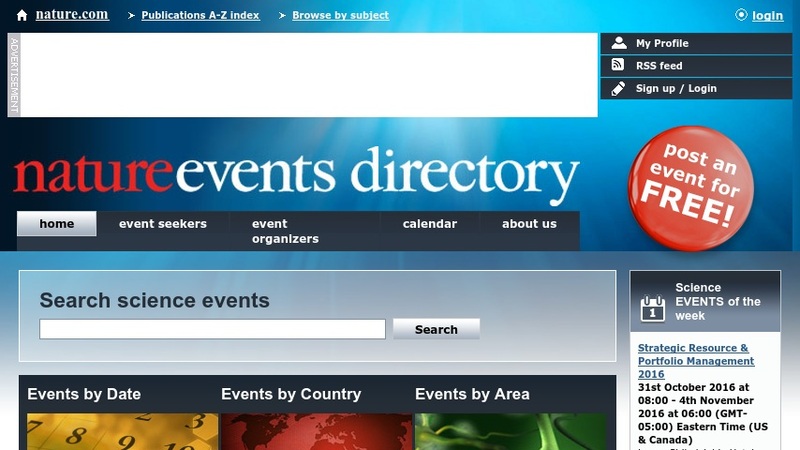 "The most relevant conferences, meetings, courses, symposia, fora and programs are here at your fingertips" thanks to natureevents.com, an online feature from the journal Nature. This "free, fully searchable, multi-disciplinary scientific events database" provides editorial reports on conference events (including archived reports) and a handy search engine for announcements and notices (e.g. conferences, grants, proposals, fellowships, etc).